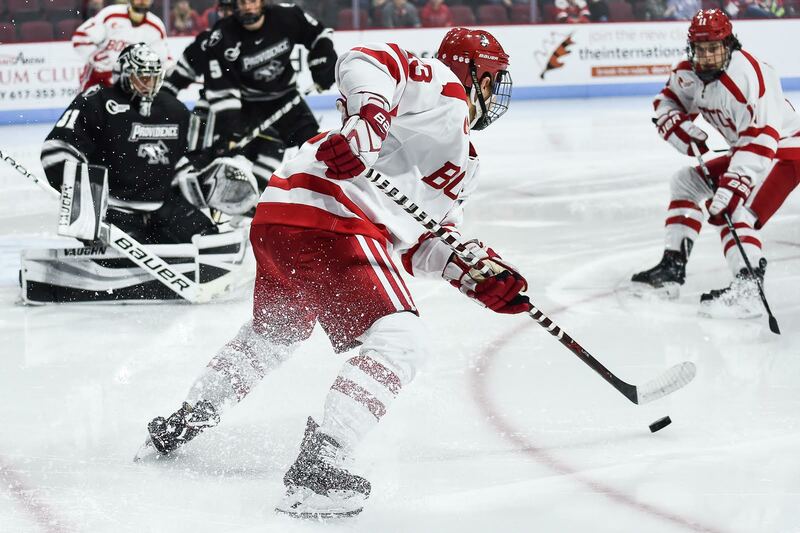 With goalie depth a concern for Boston University heading into next week’s game against Union College, the Terriers announced in a press release the addition of freshman netminder Nico Lynch to the team. Last season, Lynch played at Barnstable High School, where he recorded a 1.80 GAA and was named to the Boston Globe All-Scholastics Old Colony All-Star Team. In the press release, BU head coach David Quinn said that the plan all along was for Lynch to enroll for the second semester. The addition of Lynch comes a few days after it was confirmed sophomore goaltender Max Prawdzik would be leaving the Terriers to play with the Lone Star Brahmas in the North American Hockey League (NAHL). Freshman goaltender and regular BU starter Jake Oettinger is with Team USA in the World Junior Championships, so it is likely he will be out for the Union game on Jan. 5. That meant that junior netminder Connor LaCouvee may have been the only goalie available that week. With Lynch joining the team, that is no longer an issue. The press release also included a quote from Quinn that Prawdzik plans to rejoin the Terriers next fall with sophomore eligibility. Hey folks. Did you miss us? We certainly missed you! The past week we’ve had issues with our entire website, which stemmed from our old host. Essentially, the only way to fix this was by switching to a new host. Given the volume of content on the dailyfreepress.com domain, transferring all of the information from the old host to the new one took much longer than we all anticipated. You might notice that some of our design looks a little different than before — a bunch of our custom design coding got wiped, so we’re in the process of fixing that. But for the moment, getting content brought back to you was a much higher priority. 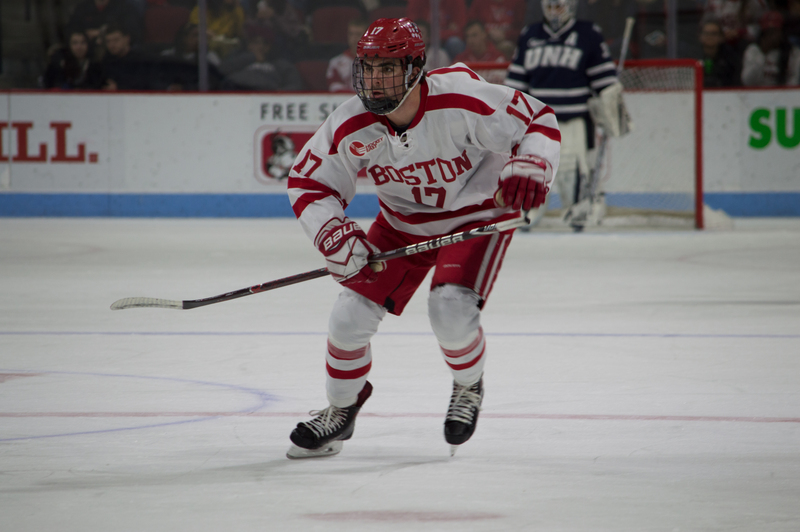 Naturally, given that we didn’t have a platform to show you all of our content, a whole bunch of BU hockey stuff happened in the past several days. So here’s a gigantic roundup of everything we weren’t able to share with you. -According to the updated roster on GoTerriers, Ahti Oksanen will wear #17 this season. Dillon Lawrence will wear #28. -Right before our site blackout, we reported that T.J. Ryan has decided to retire from hockey after multiple concussions. I got a chance to chat with him (and his father, Tom) about what went into that decision and what the future looks like for him. Here’s that story. 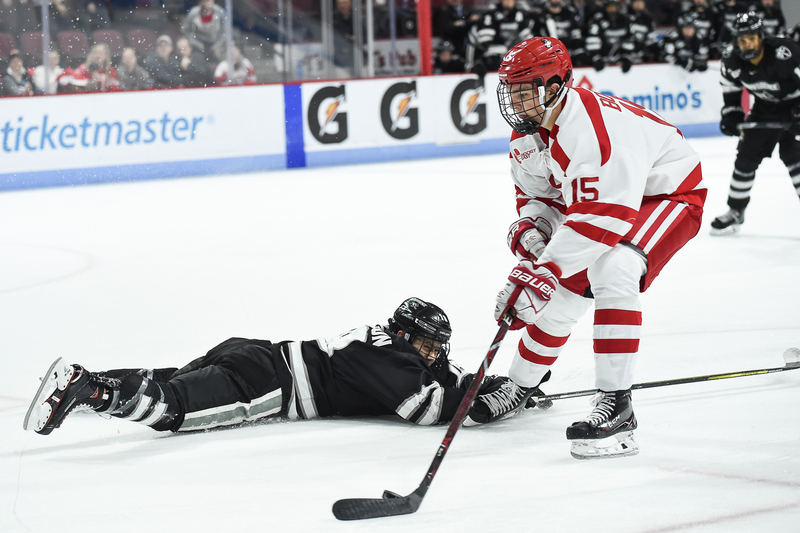 -Former Terrier Chris Dyment was formally named the new Director of Hockey Operations on Wednesday. The news was first reported by Jeff Cox of SB Nation on Monday. Here’s Judy’s brief for that. 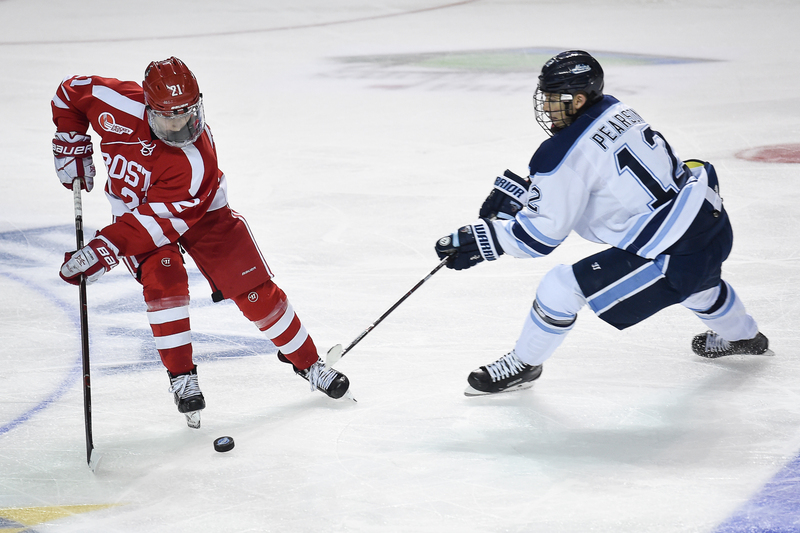 -Cox also ranked all 12 Hockey East schools in terms of recruiting classes. He ranked BU #2. -It’s Hockey East Media Day on Monday! All three of us will be there and will have a full writeup of anything important that happens. -They’ll unveil the preseason coaches’ poll on Monday, too. We all know that polls don’t have that much value (i.e., BU was picked to finish sixth in the conference last season, and we all know how that turned out) but it’s always fun to see what people say and argue about it. -On that note of polls, the Hockey East Writers and Broadcasters Association poll is expected to be released on Sunday. We’ve already revealed our votes for that on Twitter (Sarah, Judy, Andrew) but we’ll have a post up on Sunday once the results are out. 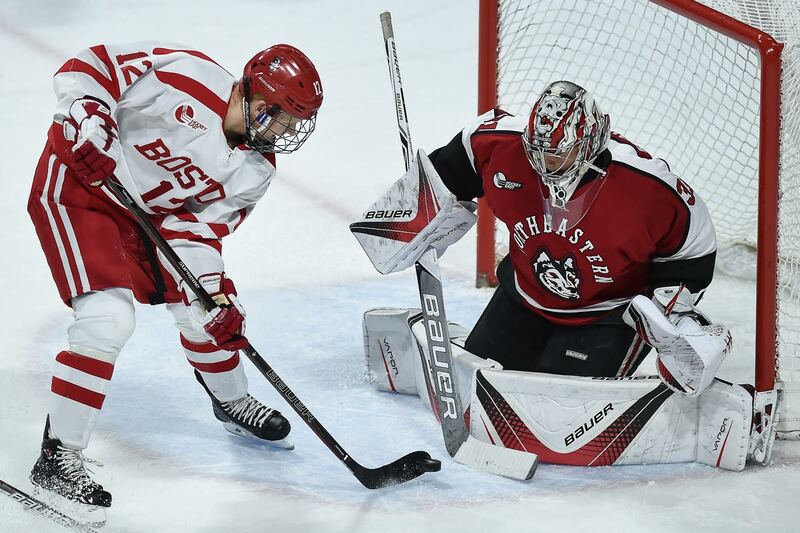 Goaltender Max Prawdzik, a native of Andover and a graduate of the Brooks School, has committed to play for Boston University starting this fall. In his senior season at Brooks, Prawdzik compiled a 19-5-4 record, a 1.39 goals-against average, and .943 save percentage, in addition to recording six shutouts. He was named the 2014-15 ISL Eberhart Division MVP and also received 2014-2015 All New England Team honors. Back on March 8, he led Brooks to a 4-2 victory over Belmont Hill in the NEPSAC Martin/East Large School title game, recording 26 saves in the contest. Prawdzik, who is 6-foot-3 and 165 pounds, will compete with goaltenders Sean Maguire and Connor LaCouvee for time in net this fall.